A consistent theme you may have seen on the site this year is finding ways to find balance in your life and making the conscious effort to take care of ourselves. Whether you are the single mom that is holding down several jobs just to make things work, the single girl that is toying with starting her own business and dealing with the pressures of everyday society, or even the guy that is stressing over how to keep his wife happy and be able to keep the bills paid and food on the table, we are all just trying to live this thing called life. 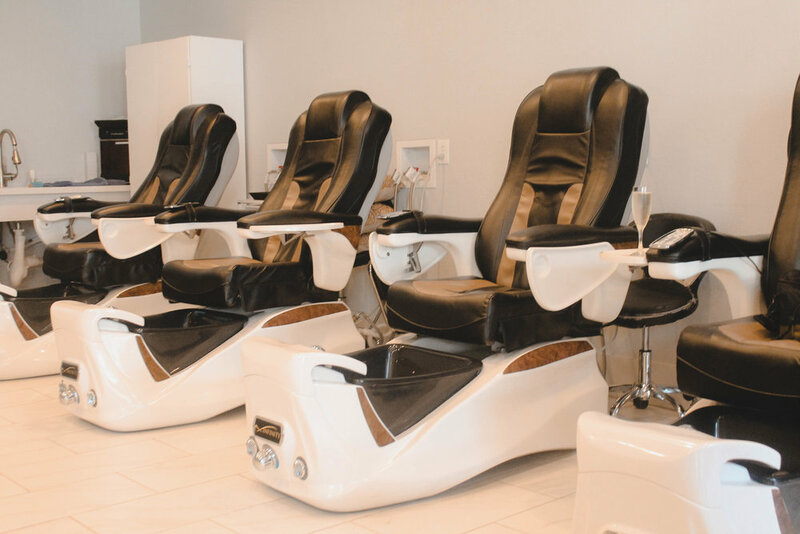 One thing that I am in the process of learning is that “me time” is for everyone’s benefit, and just a couple of hours at Riviera Spa last month, really did the trick for me. Riviera Spa is located in Dallas, Texas and offers so many services. Like, you can definitely try something new each time you visit and they even offer membership packages in order to make your experience affordable as well as enjoyable. On this particular day, I started off with a Signature Wellness massage that created the atmosphere for an amazing day. The lighting and music choices put me in a peaceful place before we even got started and my massage therapist was the perfect combination of informative while still knowing when it was time to stop the chatter and allow me to take in the experience without me having to stick my earbuds in. This, by the way, is my usual cue when I have received massages at other places. She helped me to understand that because I am active, it is very important for me to invest in myself by getting a message regardless of where I go. But, I am definitely coming back to Riviera Spa! Once you have had caviar, you can’t go back to Spam now can you?  1) A massage improves blood circulation, which delivers oxygen and nutrients to the cells. 2) Massage therapy can help with pain management in chronic conditions such as arthritis, sciatica and muscle spasms. Then I was given the opportunity to receive an Eminence Organic Facial. Can you believe I have never had a facial? Partially because I thought they were out of my budget and also because I always get so many compliments on my skin that I just thought I did not need one, in all honesty. But the reality is that I did, while my technician did compliment my flawless skin I was also informed of some aging that had occurred and now understand how important maintenance is. Have you ever met someone and just clicked? Well, this is what happened during my facial. I left feeling like I wanted to be friends in real life. Using herbs and other natural ingredients was a plus because I am super careful about the things I put on my skin and have heard of people getting facials and leaving with burns, etc. None of that here! It tickled, if anything, but the after glow….man...it was magical. Next time, I really want to try a firming detox peel! 1) By regularly getting the gunk out of your pores, your skin will breathe better, look healthier and suffer fewer breakouts and a trained aesthetician is the best person for the job. 2) Deep-cleansing facials make up for our lazy ways by thoroughly removing dirt and oil build-up without drying the skin. Proper cleansing means your pores will be refined and your complexion will look and feel rejuvenated. Of course the day would not be complete without a Spa mani/pedi! I love getting my nails done first so that I have more nail dry time because I am always messing them up and I did not even have to suggest it because they already knew. That was a first for me! I was treated to Lavender Champagne for another element to aide in my relaxation and got to discuss healthy eating with my nail technician. She was so interested in how to shift her own eating habits and I had a great time giving her all of my tips. And guys, guess what? I went two whole weeks without any chips or anything! 1) Both the physical and mental health benefits of getting a manicure and pedicure are incredible. Your feet and hands will both look and feel great, your stress will go down, and your circulation will increase. 2) In addition to exfoliating, moisturizers and cuticle treatments are massaged into the skin in a professional mani-pedi. This massage action is not only incredibly relaxing, it also helps to improve blood circulation to your extremities. This can reduce pain and help your body distribute heat during cold months. So, how many of my Dallas family are going to give Riviera Spa a try? Tell them FitXBrit sent you! I’ve partnered with Riviera Spa to bring you this post. All opinions remain my own.